Charming East Whittier Home! 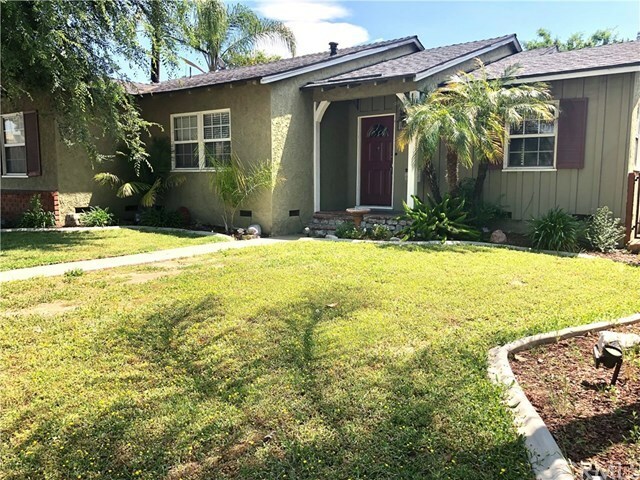 This fantastic home has everything most people want and it is in the right location, conveniently located in a desirable area of East Whittier in a friendly neighborhood near Award winning and distinguished La Serna High School. This charming home is truly a pride of ownership! It features a large and very nice living room with open concept; Galley kitchen with ceramic tile counter-tops, recessed lighting, newer cabinets and breakfast nook; nice master suite with walk-in closet and master bath; the bathrooms are upgraded with ceramic tile flooring, newer custom vanities with granite counter tops, jetted bathtub and custom shower stall; home upgrades include energy efficient double pane windows, recessed lighting, inside laundry, newer light fixtures, hardwood floors, ceiling fans, full copper plumbing, new heater furnace, professionally landscaped enclosed backyard with entertainment in mind with custom eating area set up with a lattice patio, BBQ with high quality grill, cooler, TV and several seating areas to enjoy and relax; double detached car garage with automatic door. This charming home is a must see, be the proud owner of this fantastic home inquire today.